If you are looking for that extra special touch to your big day then why not hire the very talented group, Lyric Ensemble, to add something to your wedding day. 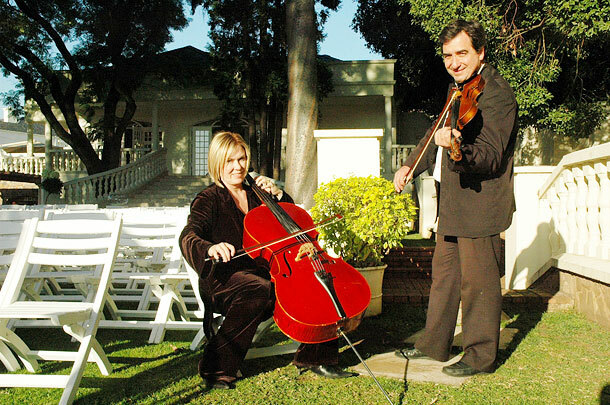 Located in Gauteng these musicians play classical, light classical and contemporary music. Ensembles can be tailored to suit your needs, from a string duet to an eighteen-piece orchestra. You can choose from the group playing for your ceremony, drinks and reception or a combination of them. Classical, baroque, or contemporary music to suit your business or wedding function, be it a soothing mellow solo cello, a string duo, trio, or a quartet to wine and dine to, we can set the mood for you! Add a sax to cello, harp, flute, violin and viola to change the mood from classical, to a jazzy sound that swings. The group also offers electric violins, sax / vocals and electric cello with backing tracks. And all from professional, trained musicians who are well known in classical music circles, and backed by the music to make your function a success to remember. A sound system is available on request to cater for large functions and any speeches you may require. The Blue Notes Big Band is a swing band playing the music of Glen Miller, Tommy Dorsey, etc, the era of the big dance bands. They also comprise professional musicians with a musical repertoire that includes swing, jazz, and contemporary numbers. Dance the night away at your next function! Lyric Ensemble has been a part of the music industry in South Africa for over ten years, offering professional musicians for every type of function. 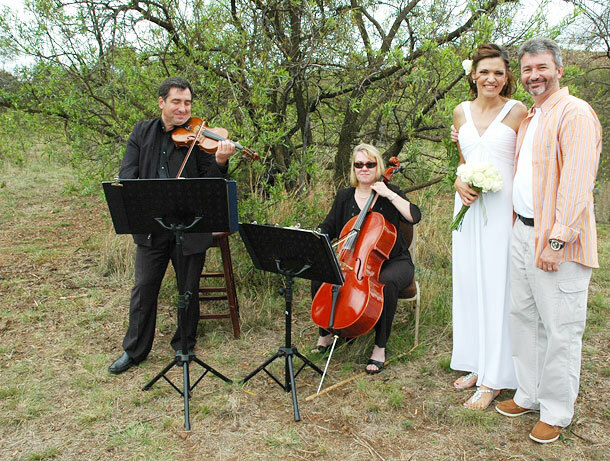 To book Lyric Ensemble for your wedding telephone Laurie on +27 (0)11 615-6038. Alternatively for further details or to send an enquiry visit Lyric Ensemble.